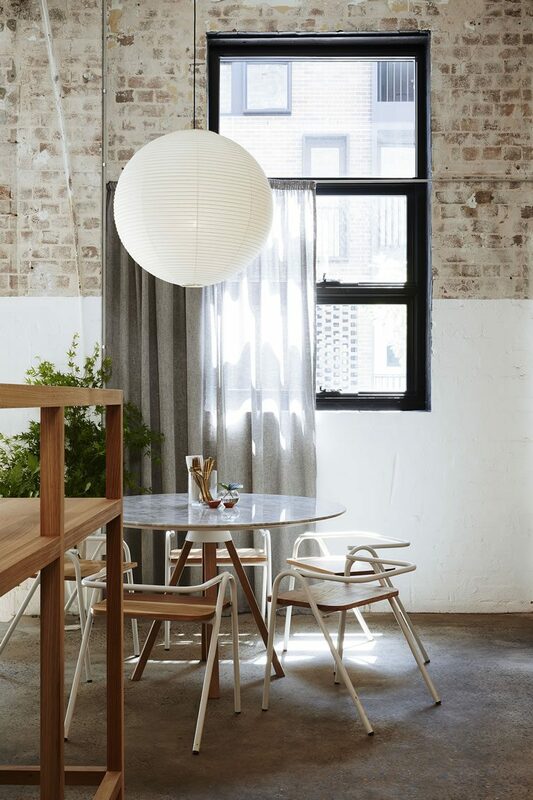 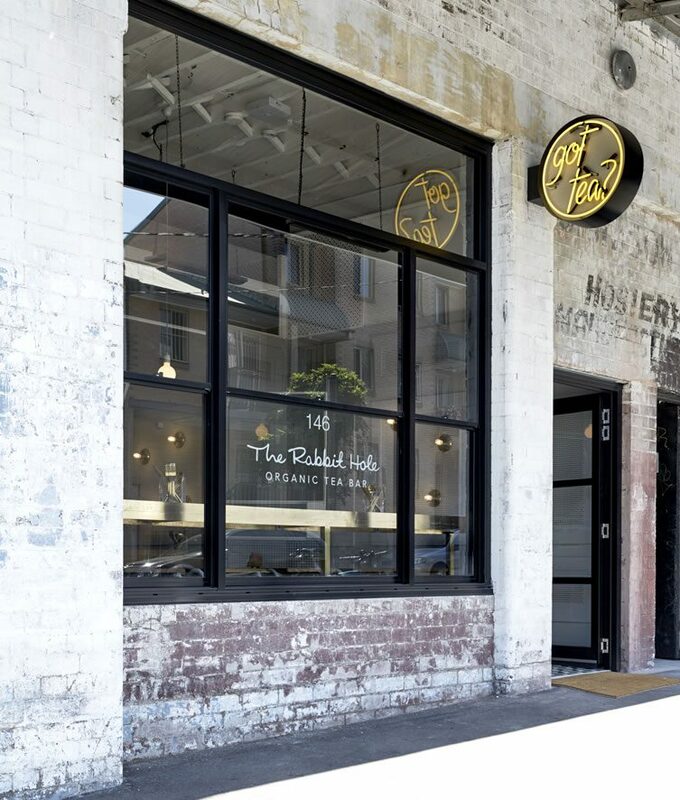 “Our mission is to redefine tea.” Say Sydney’s The Rabbit Hole. 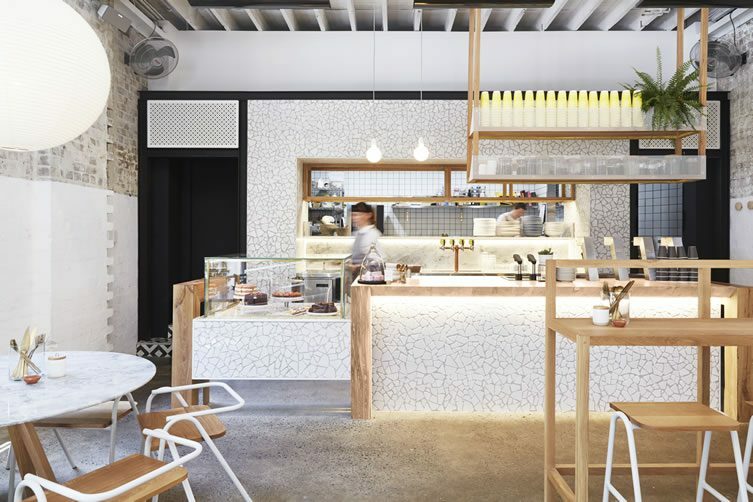 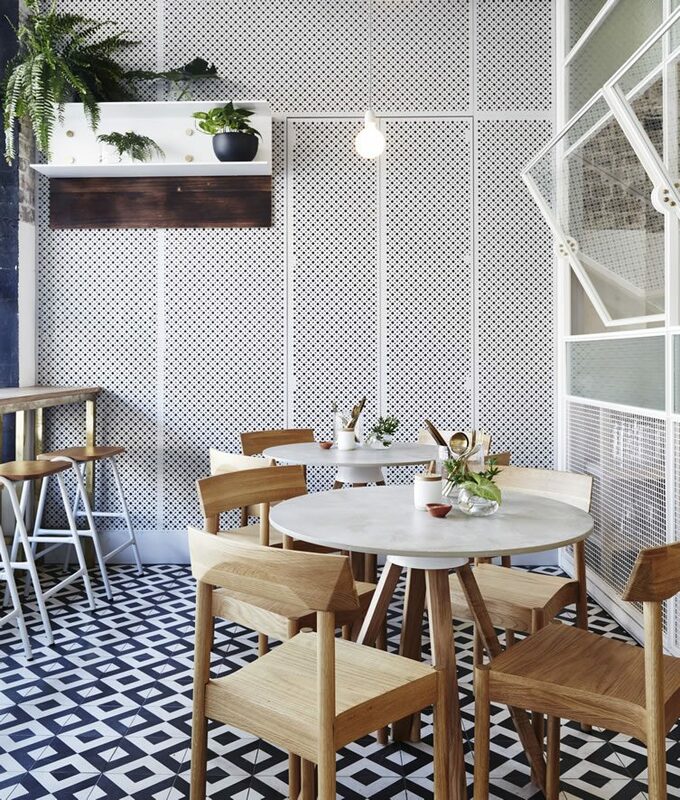 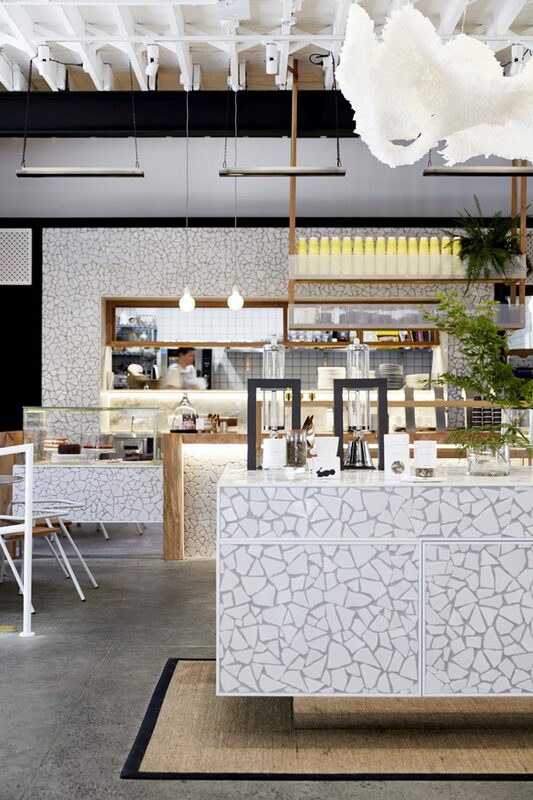 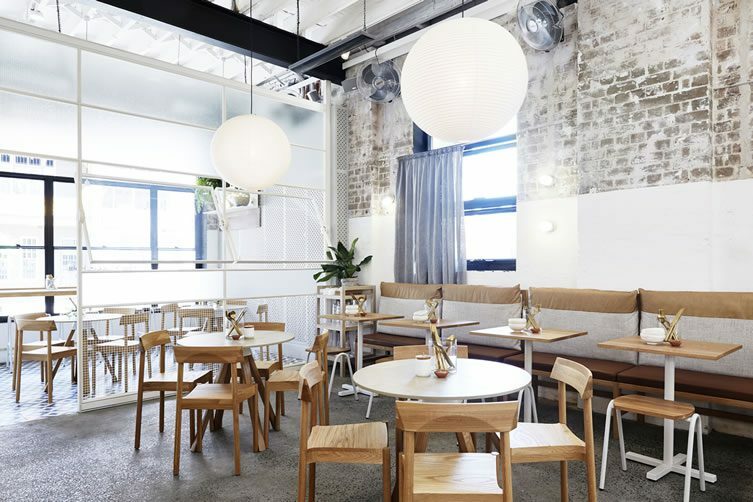 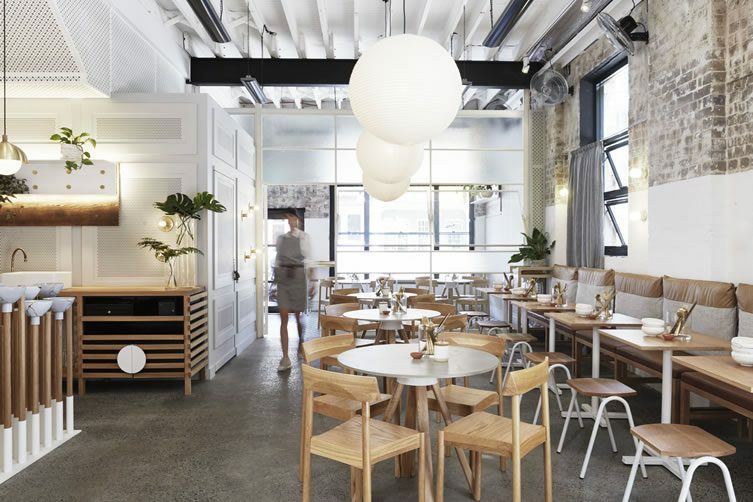 I don’t know about the tea, but by calling on designer Matt Woods, they’ve successfully reinvented the teashop … there is nothing quaint about this incredible, stylised fit-out. 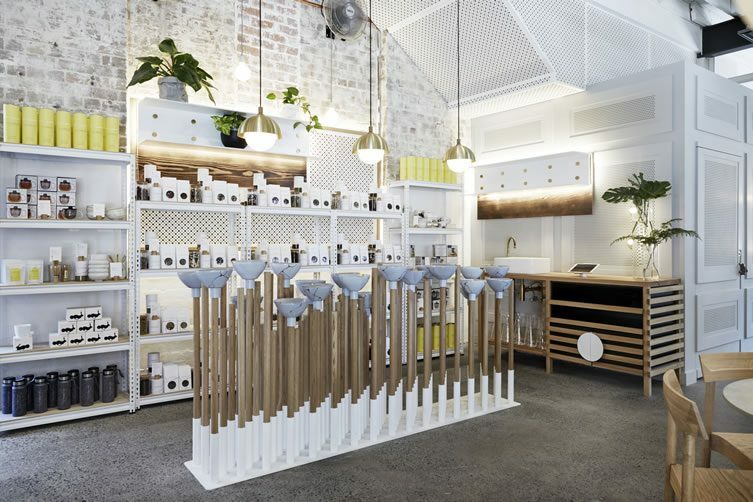 Redfern’s The Rabbit Hole is one of those spaces that could only exist in Australia, there’s surely something in that water that exits your sink the wrong way around. 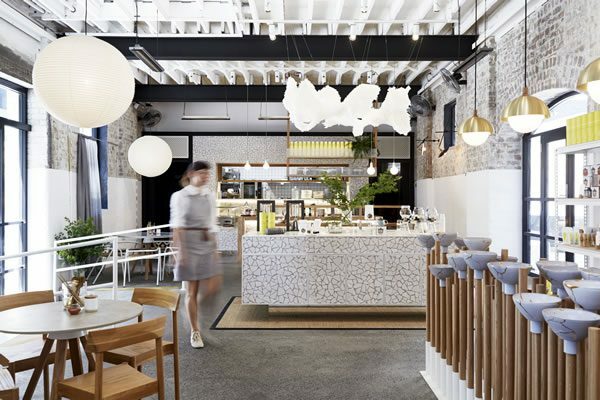 There are carefully-crafted blends in both your cuppa and the space; the Japanese art of Kintsugi (mending broken ceramics with gold-dusted lacquer) is a key concept, celebrating beauty in imperfection, and there is an elegant teabag chandelier (courtesy of Chilean artist Valeria Burgoa), but the high-concept elements are subtly balanced with simple furnishings and a considered updating of the industrial space. 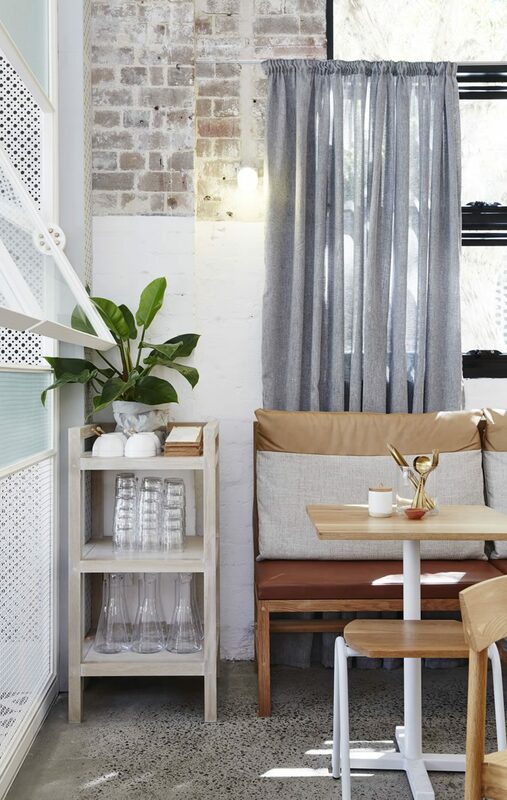 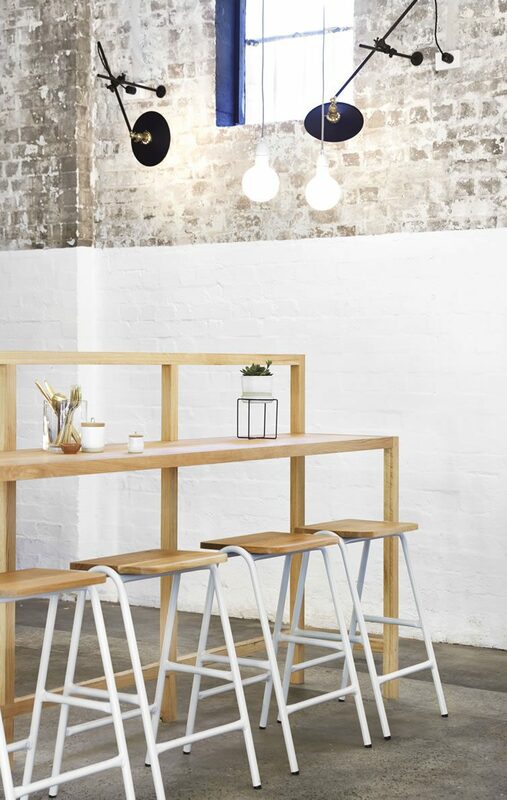 Woods has ensured a stringent commitment to sustainability too — VOC free paints; recycled woods; energy efficient lighting and utilising natural ventilation to negate the need for air conditioning just some of the measures taken to ensure the space is as organic as the teas. 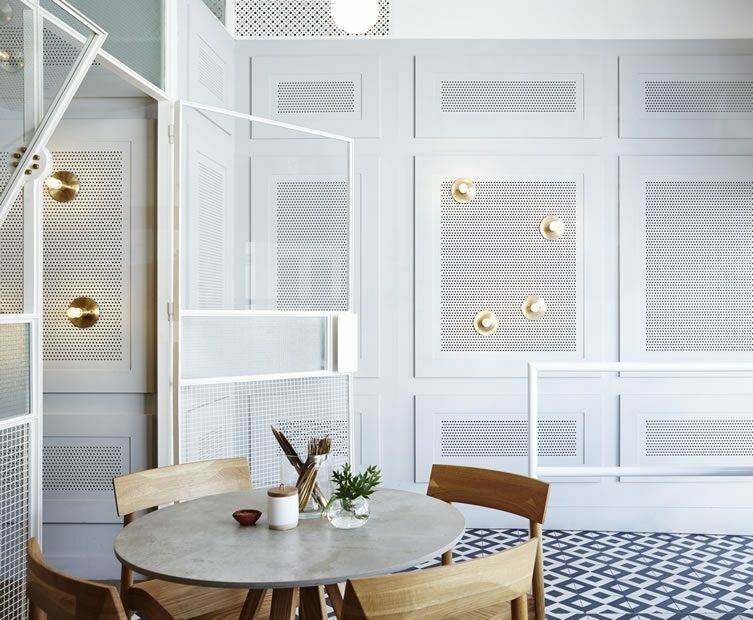 With so much going on, avoiding a ‘busy’ look is impressive stuff; a disparity of materials and styles is masterfully reined in — a cohesive, exquisite look brewed to perfection.